Special Remarks: 12 with printed inside/out Cover Tracklist 12"
Another neat aural object has been sighted on turntables lately dealing with listeners on dancefloors and at beyond typical event horizons. The moving groove of this vinyl always comes to you vibrating, moody and murky. Caring for you in every moment and every located area. Deep and close. Soon to introduce a state of drop-dead nice emotions and joyous moments that rarely has been frequented before. 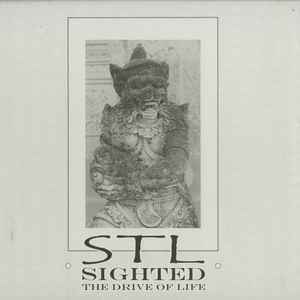 This new 12, titled ' STL - Sighted ( The Drive Of Life) ', is another ace sure shot addition from Stephan Laubner where he enlightens some more sectors of his musical mind with the best positive intentions. Remotely triggered with luv from dedicative grounds. Always feeling familiar and very Something like. With two nebulous beatdriven tunes, three dope loops plus an unusual modular listening piece, this record hopefully find it's way to your ears and sentient inwards in order have a good time and pleasure intervals together. SVS27 comes to you space&time bending and you are welcome to join the trip with these beauteous astral waves. Enjoy!